I recently attended Quilt Canada 2015 in Lethbridge, AB and was thrilled to finally meet Brandy Maslowski, the Quilter on Fire. I did a podcast interview with Brandy a few months ago, but had never met her in person. At Quilt Canada I had that opportunity! We had a chance to chat about quilting, technology and business. Brandy was a vendor at Quilt Canada and I purchased her Inksations pattern and the supplies to create the tablerunner. Yup, I bought the whole kit - Inksations pattern, silk screen, squeegee and fabric paint! I've been wanting to try printing on fabric for some time and was pleased that I could purchase everything I needed to get started in one kit. Brandy also has a video with instructions on how to use the Inksations kit, so this makes it even easier! You can view the video below or on Brandy's Youtube channel. During our discussions, I mentioned to Brandy that I had recently released a new course on Curious about vintage sewing machines and she was excited to discuss this with me, so… you can listen to Quilter on Fire podcast #78 to learn more about The Joy of Vintage Sewing Machines. One lucky podcast listener will win their choice of three (3) PDF patterns from Chatterbox Quilts. Everyone who listens to the podcast will receive a 20% off subscription code for Curious.com where you can enjoy all of the courses and lessons offered on Curious. The Joy of Vintage Sewing Machines is the perfect course for someone who has always admired these classic sewing machines, but doesn't know how to evaluate and buy one for themselves. I'll walk you through the selection and evaluation process, and then teach you how to rejuvenate and repair your machine 4 you'll be sewing in no time. You'll also get a peek at some of the vintage sewing machines that I have in my collection. 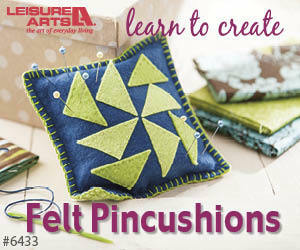 Two patterns are included in this class, so you can get started creating with your vintage sewing machine right away. To take advantage of the 20% discount, just click here and start learning and creating. I hope you enjoy the podcast and will subscribe to Brandy's channel so you can listen to all of her upcoming podcasts. Welcome! I’m Kim Jamieson-Hirst of Chatterbox Quilts. Committed to improving your quilting and having fun doing it? Join The Quilter's Way, a private online membership site.